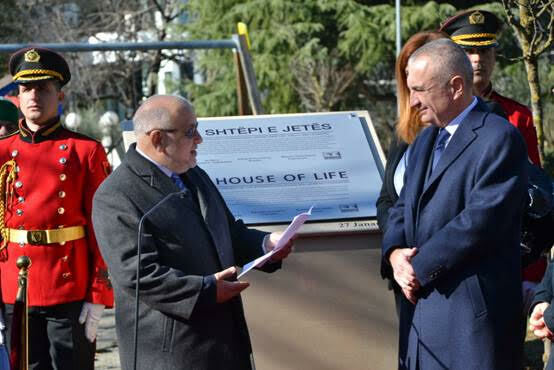 In a moving ceremony that took place in Tirana, at the South-West corner of the garden overlooking the Office of the President, a commemorative House of Life plaque was unveiled, proclaiming the country of Albania as a House of Life. The Government of Albania was represented by President Ilir Meta, Minister of Culture, Eva Margariti, Minister for the Relations with Parliament, Elisa Spiropali, Minister of State for the Protection of Entreneurship – Eduart Shalsi. 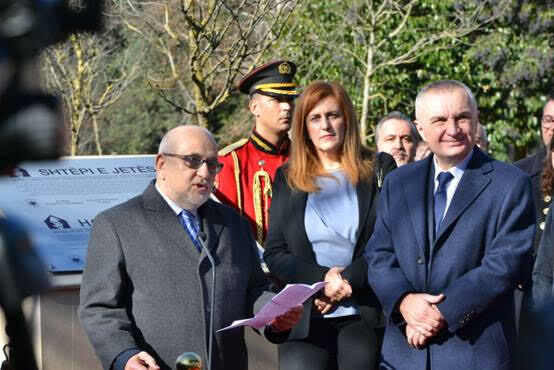 The Albanian Parliament was represented by the following members:Anasta Angjeli, Eduart Spaho and Milva Ikonomi. The event was also attended by the the Ambassadors of Albania, the UK, USA, Russia, Poland, Brazil, Sweden, Italy, the Holy See, Japan, Germany, Croatia, Serbia and the EU of Israel and leaders of all religion communities in Albania. 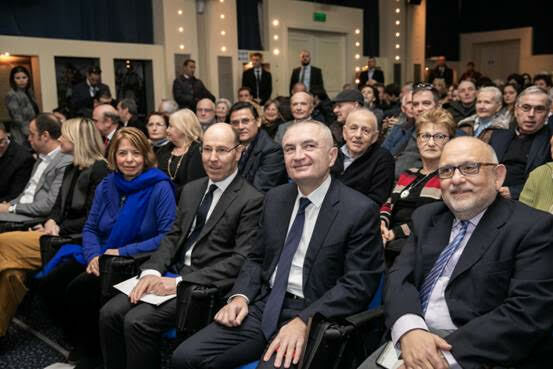 The International Raoul Wallenberg Foundation has bestowed this honor upon Albania in recognition of the country’s efforts to save Jews during the Nazi occupation. 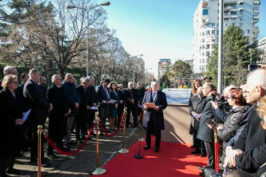 This beautifully-orchestrated rescue operation was a collective effort by the Albanian people, who were driven by the concept of BESA, a pledge of honor that translates into hospitality. In fact, Albania was the only country under German occupation which ended-up WWII with a larger number of Jews than it originally had before the war broke-out. The reason for this singular fact is that Albanians have not only protected their native Jewish community but also Jewish refugees from neighboring countries. Not a single case of denunciation is known. 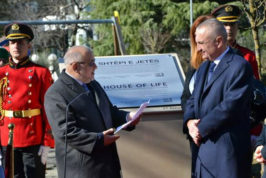 President Ilir Meta honored the ceremony with his presence and his speech he underscored that “the International Raoul Wallenberg Foundation, named after an extraordinarily and bighearted diplomat, recognizes and appreciates the unparalleled humanist and noble acts of the Albanian people, proclaiming our country “House of Life” through the symbolic placement of the plaque we are inaugurating today in Tirana”. 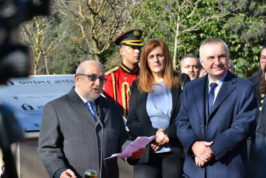 He added that “Through this solemn act, we not only once again make this inspiration and unique story of our compatriots known to the whole mankind, but we also pledge to convey and transmit this extraordinary human heritage to our children and upcoming generations as well”. “Genocides and such inhumane acts against anyone that belong to a different religion, ethnicity or nationality cannot happen and above all, they should not be allow to take place in no way in the world where we all live today! 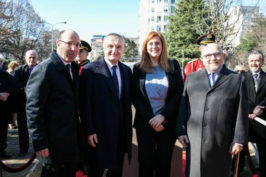 The IRWF was represented by Ms. Silvia Costantini (Vice-President Europe IRWF) and Mr. Danny Rainer (Vice-President and Head of the IRWF Israeli representation. 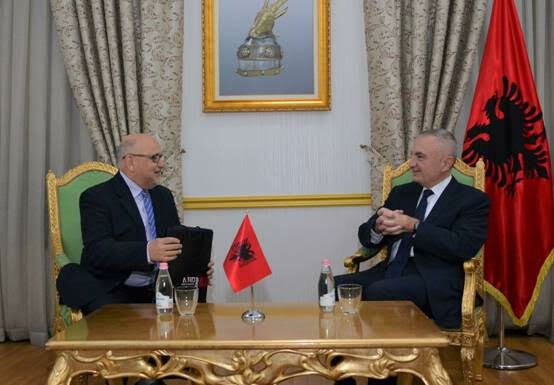 The latter declared in his speech that “the IRWF deals with recognition of goodness and the proclamation of Albania as a House of Life is an unequivocal expression of this acknowledgment….”. Mr. Rainer added that “no other country has ever been proclaimed as a House of Life”. Following the ceremony, the organizers and attendants went to the Albanian National Museum, for the inaugural screening of Prof. Yael Katzir’s documentary film “The Albanian Code”, which tells the inspiring story of the Albanian rescue through the personal story of one survivor. 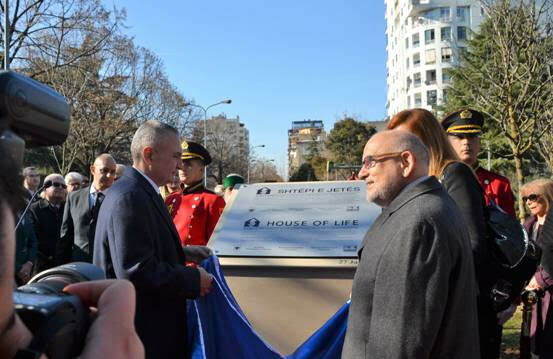 A video clip of ceremony of proclamation of Albania as a House of Life was broadcasted by the Albanian TV and can be seen here.